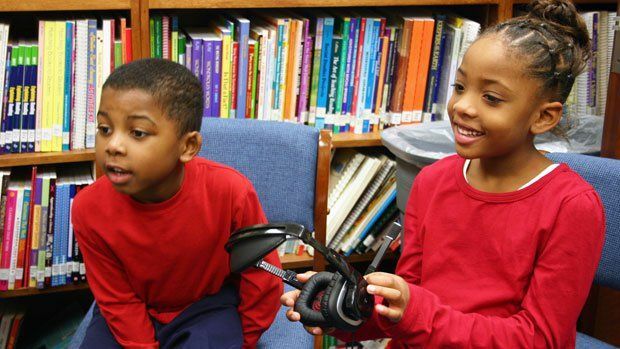 How the South Carolina elementary school secured an eye-popping set of technology tools. If the trove of technology tools in use at Forest Lake Elementary School seems out of reach for your school, don't lose heart. The technology magnet school in Columbia, South Carolina, didn't acquire its impressive inventory overnight. The school progressed little by little, over several years, combining money from various sources and adding just a few items at a time. To help you get started, Principal Kappy Cannon, Curriculum Coordinator Marian Scullion, and John Winterhalter, president of the Forest Lake Elementary Educational Foundation, got together recently to brainstorm their most successful fundraising strategies. Here's their advice for how you can begin. "None of it's hard if you've got the motivation," Cannon says. "It's not a secret." "We never do it the same way twice," says Cannon. Her school adopts new fundraising strategies and drops old ones every year, depending on what's available, what's working, and what they need. Forest Lake is fortunate to have its own educational foundation, created and run by parents to raise money for technology. Even without a team like this, Cannon suggests you look to groups of dedicated people you already have -- such as a site improvement council or PTA -- to help with fundraising efforts. Volunteers from your PTA or other team should visit local businesses early in the school year to make a personal connection. Bring along copies of the school's newsletter, literary magazine, or other materials. When you come back later seeking donations, there's already a relationship to build on. "If you've never written a grant you may think it's a big deal and it'll take a lot of time," says Cannon. "But once you've done it once, you realize it's not hard." Scullion and fellow staff members spot grant opportunities in newsletters from such sources as GrantStation, America's Promise Alliance, and Philanthropy News Digest. No prize is too small to pursue, if it would benefit students. The school has received grants from local franchises of Lowe's, CBS, Target, and Taco Bell, as well as the nearby Sparkleberry Country Fair, the anti-litter organization PalmettoPride, and the websites DonorsChoose and Digital Wish. Whew! Connect with your district liaison, if you have one. If not, try to find someone in the central office who looks out for grants or could help you collect data or proofread applications. With administrators and school board members, beat the drum about the need for tech in schools. If you win a grant, spread the news! Tell the local media, the superintendent, and the school board. It's proof that you're doing something worthwhile, and it could convince them to invest more money down the road. Do the same with good news about the technology-enhanced learning at your school. The impressive gadgets filling Forest Lake's TV news studio came second-hand from a local media company that didn't need them anymore. Forest Lake has also received free framing services and food to sell at fundraising dinners, among other things. There are all kinds of donations that don't have dead presidents on them. Don't just replace; innovate! When your school's equipment comes up for replacement, think about how you can use those dollars to expand your capabilities, and to keep current with modern tech tools. Don't discount the bake sale or the annual silent auction. The Forest Lake Educational Foundation has raised cash by giving local businesses plaques of appreciation for contributions, by hitting up grandparents for checks when they visited the school on Grandparents Day (yes, it works), and offering "Honor Cards" to notify people of donations in their honor for Valentine's Day. "You can start small, with a service-learning grant or books for your classroom or a school garden," Cannon says. "Don't try to do something every month. Do something every nine weeks. Set a goal that's reasonable for your school."